New reports show rising global temperatures are causing big problems for creatures throughout the ecosystem. Access to nutritious and affordable food is a big problem in the North, so a school in Iqaluit has come up with a way to make sure students aren’t studying on empty. The world is quickly getting warmer, and what little we are doing to combat the problem might actually be making things worse. That’s the conclusion of a series of alarming new studies and reports published over the past week, looking at the galloping impact of climate change both in Canada and around the globe. A comprehensive federal report on Canada’s changing climate, released this morning, says the country is warming twice as fast as the rest of the world, with an average rise of 1.7 C since 1948. It’s even more extreme in the far North, where temperatures have increased 2.3 C in the same period. The findings echo the UN’s World Meteorological Organization report on the State of the Global Climate in 2018, which catalogued another year of record temperatures, soaring carbon dioxide levels, melting glaciers, and rising sea levels — up 2 to 3 mm from 2017. The organization estimates that 62 million people worldwide were affected by extreme weather events last year, with more than two million of them forced to relocate. And it says that severe heat waves around the globe are becoming an increasing public health threat, with 125 million people having been exposed to potentially killer temperatures over the past 18 years. And the effects of global warming are becoming apparent almost everywhere one looks. The melting permafrost on Banks Island, in Canada’s Arctic, has caused a dramatic increase in landslides, according to a newly published paper by a University of Ottawa geographer. The study, in today’s edition of the journal Nature Communications, used satellite imagery to count the number of “slumps” on the island and found a 60-fold increase between 1984 and 2013, from 63 per year to 4,077. The sediment in the meltwater has already muddied 285 previously clear lakes. The authors predict that there could soon be 10,000 new landslides each decade on Banks Island alone if the warming trend continues. Meanwhile, scientists in the U.K. have crunched 50 years worth of data and concluded that insect populations are already being severely affected by rising temperatures, emerging weeks earlier and potentially upsetting nature’s balance. Researchers have already sounded the alarm over dramatically declining insect populations worldwide, and last week another European study found that the population of bug-eating birdsdropped 13 per cent between 1990 and 2015 across the continent, and by almost a third in Denmark. Then there are the dolphins. Researchers who track populations of the aquatic mammals off the Western coast of Australia have determined that a 2011 heat wave caused survival rates for some species to plummet by 12 per cent. More disturbingly, even after the water temperatures returned to normal the effects lingered, with a long-term decline in the birth of new calves lasting until at least 2017. The latest report from the International Panel on Climate Change warns world leaders that current plans to limit rising temperatures to 2 C won’t be enough to halt all the damage. The IPCC found last fall that warming needs to be limited to just 0.5 more degrees if we want to retain “a semblance” of our ecosystems. But the few greenhouse-gas-fighting measures that have been agreed upon are now being called into question. Agreements to re-establish 350 million hectares of forests across 43 nations won’t capture anywhere close to the 42 billion tonnes of carbon that scientists had envisioned, because more than 65 per cent of the land will be given over to tree plantations and agro-forestry. Plans to harvest those trees every 10 to 20 years means that the carbon will be released back into the atmosphere on a far more regular basis than it would from natural forests. And there are also signs that our efforts to adapt to changing weather are actually accelerating the problem. The latest report from the International Energy Agency found that global energy demand surged in 2018. The 2.3 per cent increase was the highest in almost a decade. The change was mostly due to booming economies, but extreme weather played a part too. Overall, increased efforts to cool or heat buildings worldwide was responsible for almost a fifth of the jump in energy use. 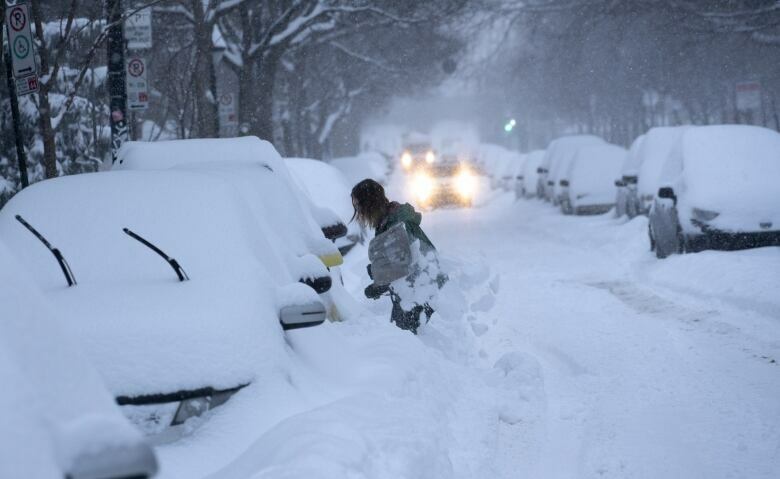 This was particularly notable in North America, which experienced both a frigid winter and an extra-hot summer. In the United States, the extra natural gas burned in 2018 was the equivalent of a year’s supply for the U.K. If anyone was in need of another warning about climate change, it was delivered this morning in Ottawa by Julie Gelfand, Canada’s outgoing environment commissioner. Giving the final audits of her five-year term, the environment watchdog said that she found it “disturbing” that Canada is taking such slow action on global warming. When a CBC News crew set out to look at problems with food insecurity in Canada’s North, reporter David Common writes, part of the story ended up coming to them. The only high school in Iqaluit is an unusual building, with portholes for windows and the enormous jawbones of a whale out front. The really incredible stuff, though, is happening inside. On our trip to the far North, we had travelled with hunters, watched the preparation of Inuit traditional foods, and we went out grocery shopping with families. It was part of a CBC Marketplace investigation into why a federal program designed to help get nutritious food into the kitchens of northerners affordably doesn’t seem to have made a dent in the problem. In fact, food insecurity in the North has actually gotten worse, and the prices for some basic foods continue to be double what they are in the South. But while we were in the parking lot of the largest grocery store in Iqaluit, someone recognized us as a CBC News crew and knocked on our car window. They told us about the local high school lunch program, and how critical it had become for many families. Quite simply, how would you expect a chronically hungry or malnourished student to learn? So we checked it out. On the day we visited, students and teachers were racing around preparing caribou-topped poutine for the entire school — a restaurant-level catering effort that repeats itself every other day. It’s a way of saying their families don’t have access to nutritious food on a daily basis. For some, the high school lunch is their only major meal of the day. The students told us that too, as we watched them pour caribou stock gravy over the meat and hand-cut potatoes. “It’s just really fun, and it’s really needed,” one young woman told us. The lunch program is not the solution, only a short-term fix, to the problem of food insecurity in the North. But it is an effort worth celebrating — and profiling. That’s what we’re doing with our story on The National this week about the Inuksuk High School. 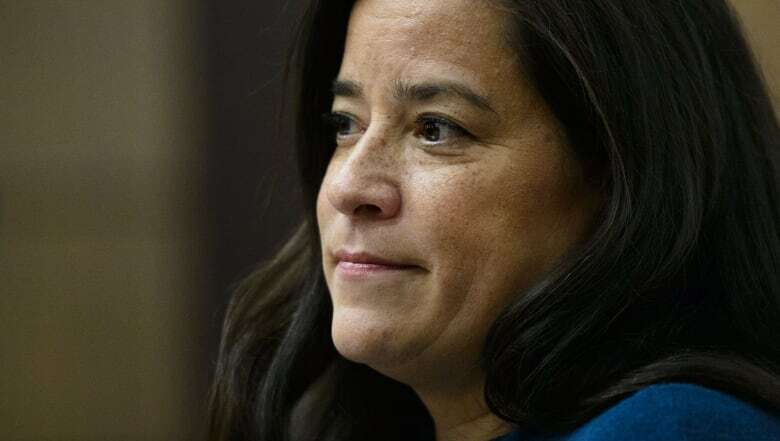 – Jody Wilson-Raybould, in a two-page letter today to the members of the national Liberal caucus as they debated whether she should be expelled. Canada’s laws to deal with underage “delinquents” had been on the books for 76 years. And it wasn’t just the terminology that changed with the new act. Twelve- to 18-year-olds received the right to a lawyer, to appeal, and a defined sentence if they were found guilty. The provinces, however, weren’t all that keen on the costly new emphasis on alternatives to incarceration.